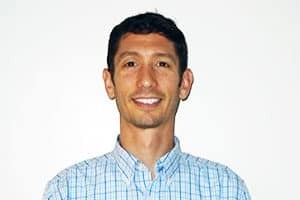 Joshua Creem is Credibly’s General Counsel​ and brings over 13 years of experience working with companies focused on data, technology, and financial services. Before joining Credibly, Joshua was Corporate Counsel of Vesta Corporation, an electronic payment solutions provider processing over $6 billion annually for companies across the globe. Before Vesta, he was General Counsel of Corillian Corporation, a NASDAQ-traded online banking software company acquired by Checkfree Corporation in 2007. Joshua started his practice as a corporate lawyer at Stoel Rives LLP, one of the Pacific Northwest’s largest law firms. He received a B.A. from the University of Colorado and his J.D. from the University of Michigan Law School.